The area between Maud and Smith Road is special. 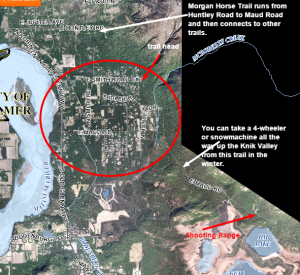 This spot has fantastic recreational opportunities with access to the Jim Lake and Knik River Trails, the McRoberts Creek Trail, and the Morgan Horse Trail in addition to other lesser known trails. The lots are often 2 acres or more making the density greater so that the area feels less crowded. There are some fantastic mountain views. Wildlife, especially moose, abound. Most importantly, for some people, it’s in a wind shadow. I did a video a few years ago demonstrating how it can be howling in the most of the valley and absolutely still in this area. Here it is, Escape the Matanuska Wind. The turnover of houses in this area is very low. People tend to live here for a long time before they move. 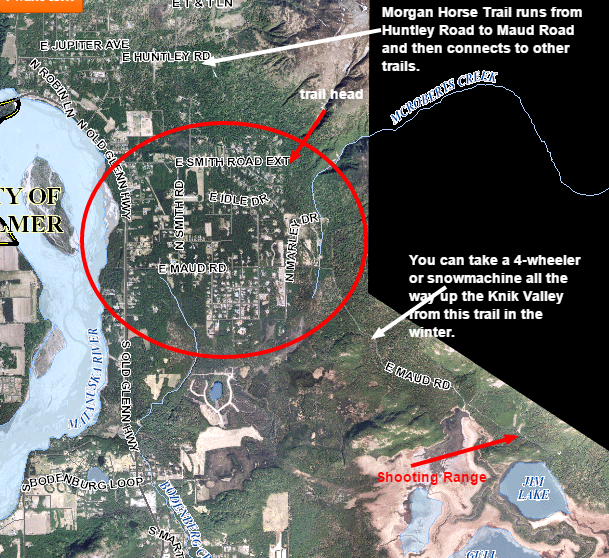 Here is an updated search of the area. It shows what is currently on the market.